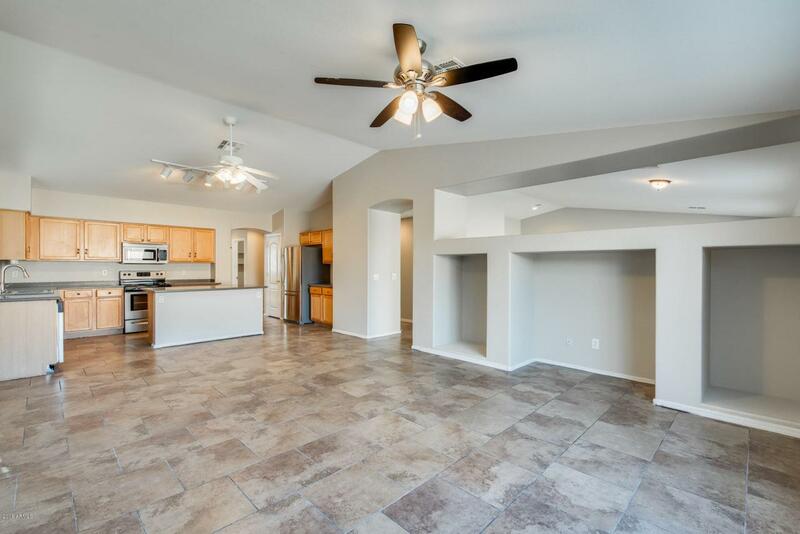 Your home sweet home is waiting for you! 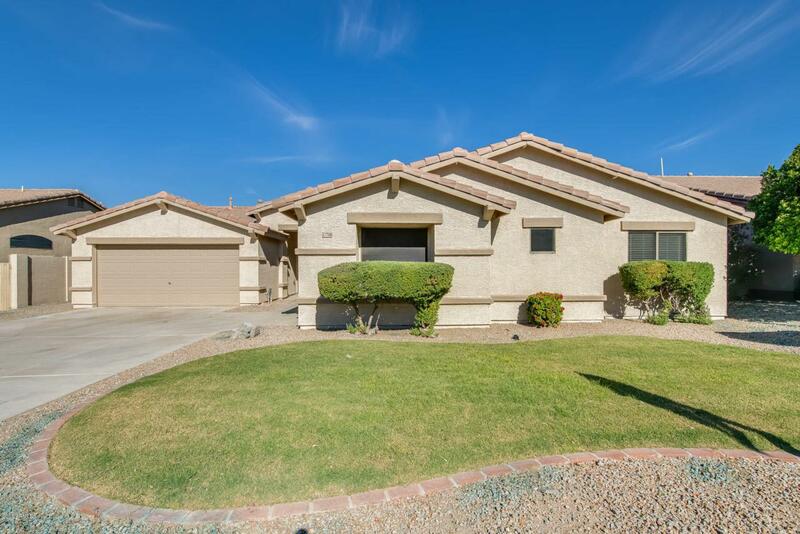 This gorgeous 4 bed, 2 bath home is located in beautiful Estrella Mountain Ranch in Goodyear. This home has an owned solar system and a large RV gate for your toys! 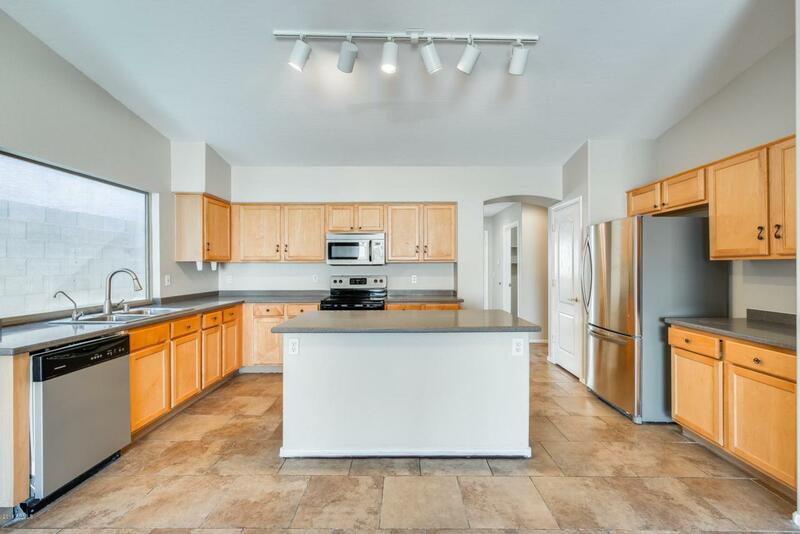 Create a culinary masterpiece in this spacious kitchen with plenty of cabinets, counter space, and stainless steel appliances. Relax in your master bed and bath where you have everything you need! Escape to your private oasis out back where you can cool off in your refreshing pool or play a game of football on the lawn. 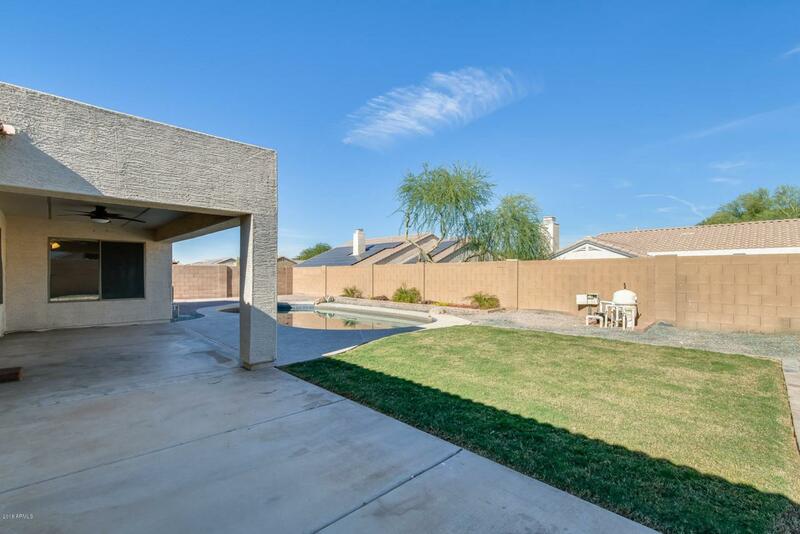 Estrella HOA includes use of facilities, lakes, work-out centers, pools, parks, and playgrounds, sports courts, private hiking trails, and Starpointe and Presidio Resident's Centers. Estrella is a Golf and Lake Community. Schedule your showing now!